This Facebook Live Video Wine Tasting above, we chat about pairing wine with our favourite Chinese dishes, from sweet and sour chicken to wontons and spring rolls. You can click on the arrow above to play the video. We’re joined by guest winemaker, Jean-Benoit Deslauriers of Benjamin Bridge Winery to help us celebrate the Chinese New Year. We taste every Sunday evening at 6 pm eastern so add us to your calendar and grab a glass of wine. Click on the icons for “Share” and “Like” on the page above to get notified when we go live. Lori Kilmartin · 41:47 I was worried the Nova would be too sweet Jean-Benoit but it sounds like it is offset with a good dose of acidity. I am going to go back and get a bottle!!! Jean-Benoit Deslauriers · 30:47 True that Nova is best when enjoyed in its youth, but because the acidity and C02 are high, the wine will remain crisp and sound over time. Our first Nova, from 2006, is showing great ! Jean-Benoit Deslauriers · 40:46 Yes, the profile of Nova 7 itself is a combination of sweetness (fruit/aromatics) and acidity. Therefore, sweet and sour dishes could not be better suited for the wine…. Jean-Benoit Deslauriers · 36:52 “Nova” = two reasons: (1) in homage to Nova Scotia – as we knew this wine could only be made in Nova Scotia with its unique surroundings and (2) for “new” as the wine was pioneering a new style of wine. Jean-Benoit Deslauriers · 33:17 On “7”: 2007 was the first commercial vintage, and 7 was originally a variation on vintage designation. Yes, we are celebrating Nova’s 10th anniversary this year! Sam Hauck · 40:21 Yes, Siegerrebe was developed in Germany. It is a cross of Madeleine Angevine and Gewürz. Today it is found in Germany, England, BC, NS and Washington State. Not sure about Ontario. Sam Hauck · 21:02 The VIWF runs from Feb 12 to the 18th with many events through the week. The main consumer tastings run from the 16th-18th. I look forward to meeting Jean-Benoit. Carol Maskus · 8:47 Natalie, I read an article with a Chinese sommelier who said that Chinese people like to pair spicy food with tannic red wines, because the tannins enhance the heat. Sorry I missed you live. I was having video issues. 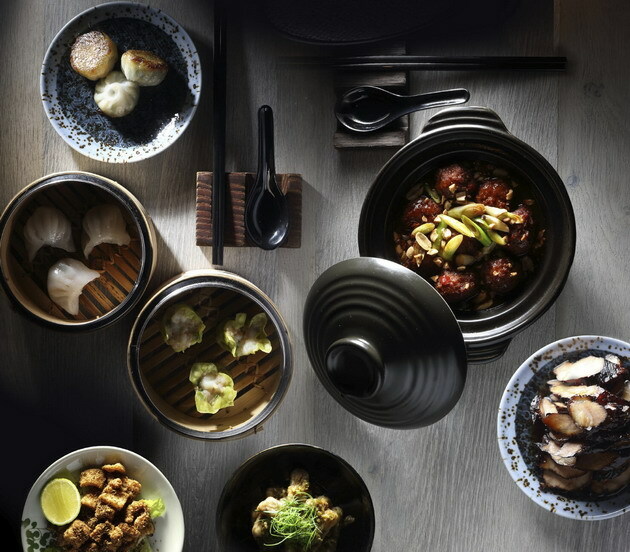 Alex Ballesteros · 40:25 This signature dish in Sichuan cuisine is ideal for both occasions. It’s perfect for the cold weather – the fiery red chilli gets our blood circulation going, yet it’s also a great appetite stimulant when the weather gets hot. Lise Charest Gagne · 33:49 any plans on the 2007 bottle if such a big anniversary? Lori Kilmartin · 33:48 Jean-Benoit – I was looking at your sparkling in LCBO – it’s got a pop type cap on it – is that because it’s not under as much pressure as a usual sparkling? Jean-Benoit Deslauriers · 52:13 Yes, we have a wine club opened to all Canadians! Jean-Benoit Deslauriers · 23:00 Usually Moscato’s are a bit more sugar-centric, while Nova 7 relies primarily on freshness and drinkability! Floyd Curtis · 43:59 My experience having travelled to China many times is that they tend to serve domestic Chinese reds with everything . Enough said. Jean-Benoit Deslauriers · 17:07 artisan fact: This year Nova 7 is the result of 100% indigenous fermentations! Lynn van der Linde · 18:19 Nova Scotia has a beautiful Maritime climate for wine! Jean-Benoit, what’s your favourite grape variety? Jean-Benoit Deslauriers · 13:45 Nova 7 is very much a blend. There are about 15 varietals involved! Sam Hauck · 22:55 For Jean-Benoit – at the recent BC Best Sommelier 2017 competition, all three finalists recommended Benjamin Bridge sparkling with a first course dinner offering. Jane Staples · 39:29 Ah, honey-garlic chicken balls or shrimp with lobster sauce from Ottawa’s Golden Palace Restaurant-YUM! Sam Hauck · 16:22 Looking to trying some NS wines at the Vancouver International Wine Fest. This year Canada is being featured. Alex Ballesteros · 16:10 Jean-Benoit do you have specific vineyard/grape sources you stay with when making your wine? Lori Kilmartin · 38:45 Cantonese Chow Mein! Jean-Benoit Deslauriers · 47:29 How about a juicy Grenache? Jane Staples · 46:25 my life’s mission-comparing wine and food side-by-side! Alex Ballesteros · 30:16 leads me to ask Jean if the blend change? Alex Ballesteros · 39:09 i love Shui Zhu Yu! Whether you’re celebrating the Chinese New Year, or love Chinese fare year round, here are tips on pairing those dishes with wine. 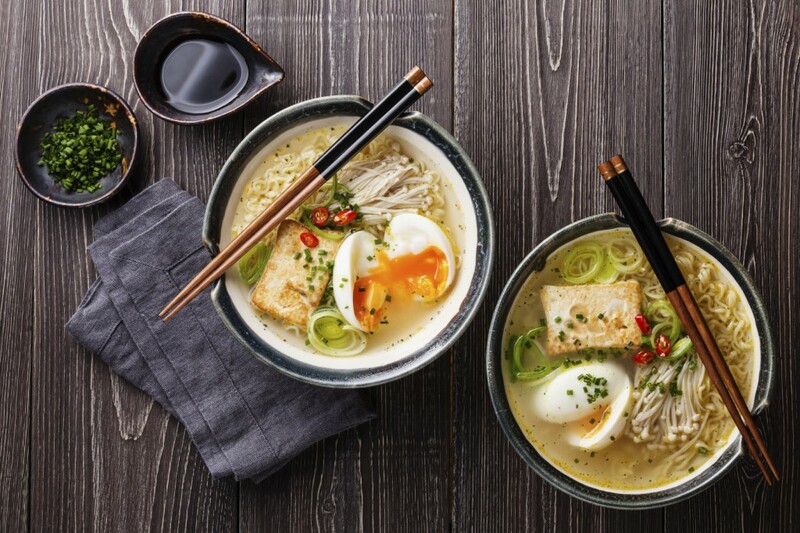 North Americans now enjoy a much broader and diverse fare that often includes a wide range of ethnic cuisines. Although there are a number of spicy entrees in Chinese cuisine, there are also many with sweet and sour nuances, so choose a wine that can handle both. We’re celebrating the Chinese New Year by pairing wines with sweet and sour pork, orange chicken, wontons, dumplings and spring rolls. 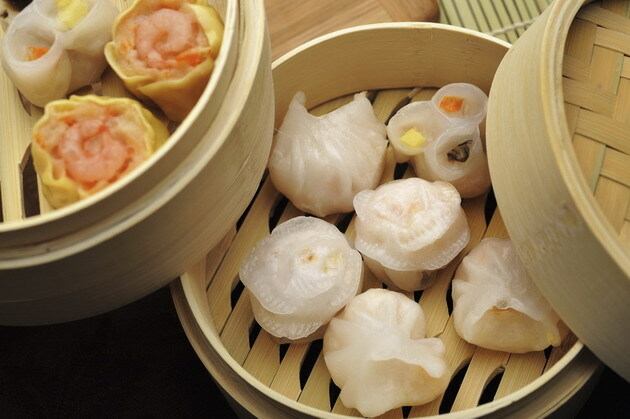 Wontons: is a type of Chinese dumpling that is made with a dough-skin wrapper and stuffed with beef, pork or shrimp, that the edges are pressed together by fingertips and then deep-fried. 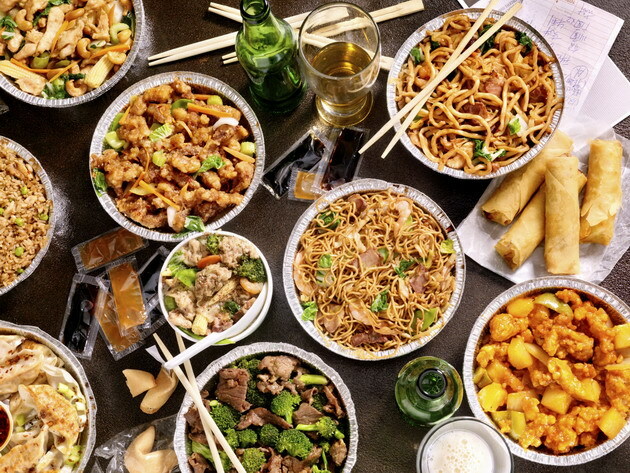 Chow Mein: stir-fried noodles, chow meaning “fried” and mein meaning “noodles.” Chow mein can be served on it’s own as a vegetarian dish or with meat such as beef, chicken or shrimp. There are two types of noodles: soft, which are flat noodles steamed, and crispy, which are long, rounded noodles that are fried. Fried rice: steamed rice that has also been stir-fried in a wok and, often, mixed with eggs, vegetables and meat. Spring Rolls: rolled appetizers in cylindrical pastry wrappers that are filled with various meats, such as pork, or vegetarian ingredients, such as cabbage. They are often pan-fried or deep-fried and crispy. Peking Duck: a Beijing duck dish that’s roasted in an oven and has thin, crispy skin. Sweet and Sour Pork: pork that is stir-fried and then a sauce of a light vinegar and sugar mixture that yields the sweet and sour flavours is added to the wok before serving. Hot and Sour Soup: Chinese soup made from day various meats with bamboo shoots, tofu, lily buds, wood ear fungus in a pork blood broth. Its heat comes from red or white peppers, and the sour flavour from vinegar. 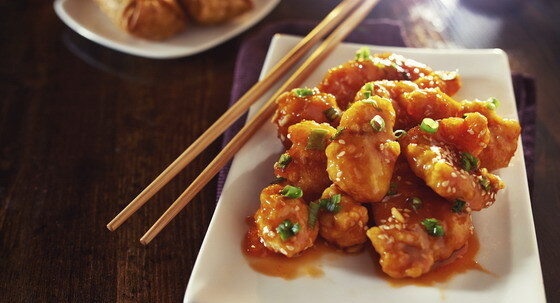 Kung Pao Chicken or Shrimp: is also known as Gong Bao or Kung Po. This is is a very spicy stir-fry chicken or shrimp dish that often also includes peanuts, vegetables and chili peppers. The Sichuan version from south-western China has Sichuan peppercorns, which gives the dish is famous spicy heat. In North America, the dish is often made from diced marinated chicken that is stir-fried in orange juice, ginger, garlic, chicken broth, sugar, cooking oil, corn starch, salt and pepper. Got one to add? Please let me know at natdecants@nataliemaclean.com. My favourite is off-dry Riesling from either Canada or Germany because it has a touch of sweetness, but it also has the acidity to go with the sour element in Asian cuisine. 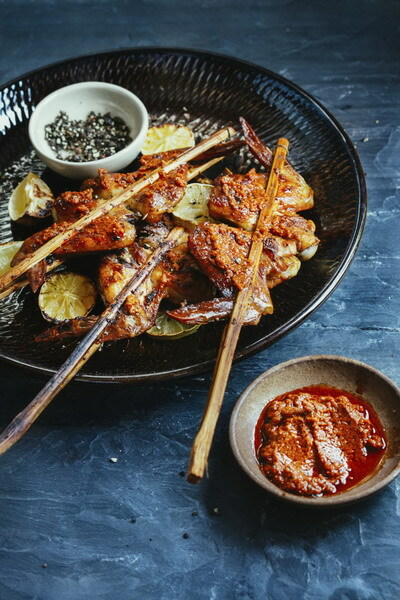 Riesling, which can go from bone dry to intensely sweet, and often provides just the right amount of sweetness to pair with the hot/sour/salty/bitter flavours of spices. My adage is that “sweet meets heat” and an off-dry or sweet wine can soften the perception of heat on the palate. Riesling has great acidity and ripe fruit flavors like peaches, limes and pears. It prolongs the pleasure of the first bite of food, but then gives you a different sensation each time you sip it and go back for another bite. A wine that’s bone dry is going to taste bitter with Chinese food. Low-alcohol white sparkling wines which have a little sweetness also work. 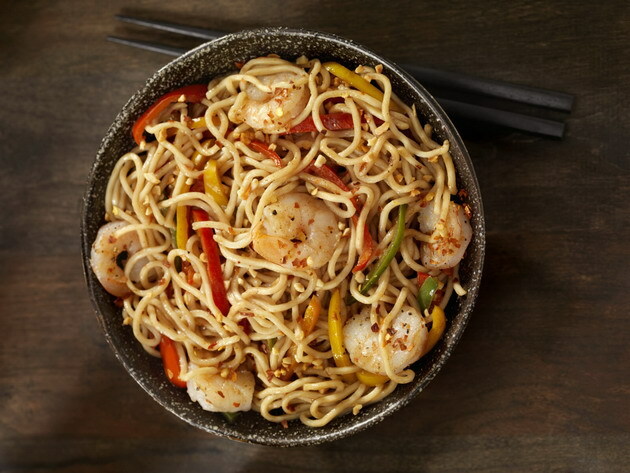 What to drink with kung pao or a cilantro-based dish? It’s got an aromatic intensity (full of rose petals and litchi) and stands up well to a spicy meal. It is not a wimpy wine. Choose wines that are not aged in oak and don’t have large amounts of tannins. Tannins actually accentuate heat and salt. High-alcohol wines with spicy foods will make your mouth taste like it is on fire. So does that mean red wines are totally out of the picture? You can definitely try a wine that contrasts with spices, like a plush red that is ripe and fruity or some soft Italian reds. For wine drinkers who prefer reds over white, try one that is not high in alcohol or tannins with spicy foods. Go with fruity low-tannin reds like Pinot Noir, Beaujolais, Gamay or even Zinfandel. More tips on pairing wine and spicy food. Best 20 Wines for Spicy Dishes. For wine pairings with 48 herbs and spices, visit www.nataliemaclean.com/matcher. Here’s a link to all of the Benjamin Bridge wines that I’ve reviewed on the site including the Nova 7 that we discussed. S.A. PRÜM RIESLING SPÄTLESE is one of my favourites wines to go with spicy Chinese and Indian foods. It also goes well with strong cheeses, too.